‎"Men are blind and crazy, they think all the people of Ohio are trying to steal their slaves and incite them to rise up and kill their masters; I know this is a delusion—but when people believe a delusion they believe it harder than a real fact and these people in the South are going, for this delusion, to break up the government under which we live." 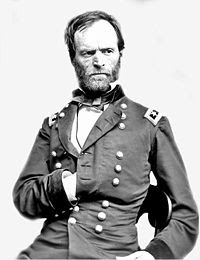 You knew William Tecumseh Sherman was a great Union general. You know what he did when he marched through Georgia, and you might even know that in the process, he invented modern "total" warfare. But did you know that the general was also a prophet? That months before Louisiana's P.G.T. Beauregard set his Confederate batteries upon federal Fort Sumter in Charleston Harbor, Sherman told his wife in Ohio and a secessionist Louisiana friend that there would be a war, why there would be a war, what would start the war and where it would start. Everything came to pass just as he said it would. In December 1860, the founding superintendent of the fledgling Louisiana State Seminary of Learning and Military Academy, known today as Louisiana State University, sat down to pen a note to his little daughter Minnie back home in Lancaster. It begins with a papa telling his little one about their new house in Louisiana. It ends as a very grown-up lecture on the cold, hard facts of life. There is an evident purpose, a dark design, not to allow time for thought and reflection. These southern leaders understand the character of their people and want action before the spirit subsides. Robert Anderson commands at Charleston, and there I look for the first actual collision. Old Fort Moultrie, every brick of which is as plain now in my memory as the sidewalk in Lancaster, will become historical. It is weak and I can scale any of its bastions. If secession, dissolution and Civil War do come South Carolina will drop far astern and the battle will be fought on the Mississippi. The Western States never should consent to a hostile people holding the mouth of the Mississippi. But, oh, what he earlier wrote to Minnie! I have been intending to write you a good long letter, and now I wish I could send you all something for Christmas, but I thought all along that Mama and you and Lizzie, Willie, Tommy, and all would be here in our new house by New Year's day. The house is all done, only some little painting to be done. The stable is finished, but poor Clay has been sick. . . In the front yard are growing some small oak trees, to give shade in the hot summer days; now however it is raw and cold, the leaves are off and it looks like winter, though thus far we have had no snow. Maybe we will have some snow at Christmas. In the back yard I have prepared for a small garden, but the soil is poor and will not produce much, except early peas, lettuce and sweet potatoes. The house itself looks beautiful. Two front porches and one back, all the windows open to the floor, like doors, so that you can walk out on the porch either upstairs or downstairs. I know you would all like the house so much - but dear little Minnie, man proposes and God disposes - what I have been planning so long and patiently, and thought that we were all on the point of realizing, the dream and hope of my life, that we could all be together once more in a home of our own, with peace and quiet and plenty around us. All, I fear, is about to vanish, and again I fear I must be a wanderer, leaving you all to grow up at Lancaster without your Papa. Men are blind and crazy, they think all the people of Ohio are trying to steal their slaves, and incite them to rise up and kill their masters. I know this is a delusion - but when people believe a delusion, they believe it harder than a real fact, and these people in the South are going, for this delusion, to break up the government under which we live. You cannot understand this but Mama will explain it to you. Our governor here has gone so far that he cannot change, and in a month maybe you will be living under one government and I another. This cannot last long, and as I know it is best for you all to stay in Lancaster, I will not bring you down here at all, unless some very great change takes place. If this were only a plain college I could stay with propriety, but it is an arsenal with guns and powder and balls, and were I to stay here I might have to fight for Louisiana and against Ohio. That would hardly do; you would not like that I know, and yet I have been asked to do it. But I hope still this will yet pass away, and that our house and garden will yet see us all united here in Louisiana. "WAR IS hell." Sherman told that to graduates of the Michigan Military Academy in 1879, recounting "cities and homes in ashes" and "thousands of men lying on the ground, their dead faces looking up at the skies." Though he certainly knew it from his Louisiana days, maybe it was unnecessary then to belabor the point that war also destroys the fondest dreams of even its eventual winners -- really, more like its lesser losers. That's a lesson we never learn, and everybody's always spoiling for a fight. Especially in the South. Especially now -- it's all over Facebook . . . if you dare go on Facebook anymore amid the latest existential conflict (gun control in the wake of the Newtown, Conn., school massacre) swirling about President Obama like leaves caught in an autumn whirlwind. "Men are blind and crazy . . . when people believe a delusion, they believe it harder than a real fact." In other words, "Plus ça change, plus c'est la même chose." IT'S PROBABLY no historical accident that so much of This Present Nuttery has its genesis below the Mason-Dixon Line. 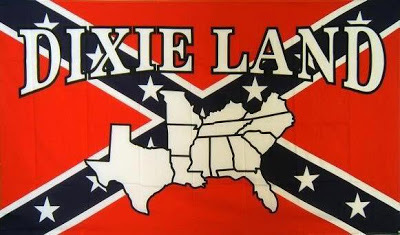 Having lived for a quarter century some 1,100 miles and a world away from the peculiar stew in which I was reared, I think I've gained a little perspective on my home state, Louisiana, and what we of a certain age were indoctrinated into as sons and daughters of the South. I have found that that perspective goes something like this: "Holy sh*t!" In this angry day, during this troubled age, you could be forgiven for thinking nuttery has become the norm in America, and the vortex of the granola cyclone -- a perfect storm of nuts and flakes -- is moving slowly up the lower Mississippi River basin. You, you the people of the South, believe there can be such a thing as peaceable secession. You don't know what you are doing. I know there can be no such thing. . . . If you will have it, the North must fight you for its own preservation. 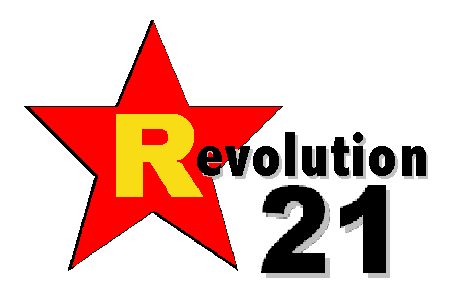 Yes, South Carolina has by this act [its secession --R21] precipitated war. . . . This country will be drenched in blood. God only knows how it will end. Perhaps the liberties of the entire country, of every section and every man will be destroyed, and yet you know that within the Union no man's liberty or property in all the South is endangered. . . .
Oh, it is all folly, madness, a crime against civilization. . . .
You people speak so lightly of war. You don't know what you are talking about. War is a terrible thing. I know you are a brave, fighting people, but for every day of actual fighting, there are months of marching, exposure and suffering. More men die in war of sickness than are killed in battle.At best war is a frightful loss of life and property, and worse still is the demoralization of the people. . . .
You mistake, too, the people of the North. They are a peaceable people, but an earnest people and will fight, too, and they are not going to let this country be destroyed without a mighty effort to save it. . . . The North can make a steam-engine, locomotive or railway car; hardly a yard of cloth or a pair of shoes can you make. You are rushing into war with one of the most powerful, ingeniously mechanical and determined people on earth -- right at your doors. You are bound to fail. Only in your spirit and determination are you prepared for war. In all else you are totally unprepared, with a bad cause to start with. "WITH A bad cause to start with." You could almost forget we're talking about an anguished warning on Dec. 24, 1860, and think the future general was trying to talk some sense into today's laptop revolutionaries, heat-toting gun nuts, and the seceders, nullifiers, Obama-impeachers and insurrection-seekers who love them. In a lot of ways, America today is as much a powder keg as it was in 1860. And just like 1860, there is no shortage of people, with hotheaded Southerners in the forefront, pitching lit matches in the arsenal door. Eventually, someone will light the right match in the wrong spot, and something's gonna blow. And there will be blood. Labels: Barack Obama, Civil War, conservative, conspiracy nuts, decline and fall, government, guns, inauguration, insanity, president, W.T. Sherman, Washington D.C.